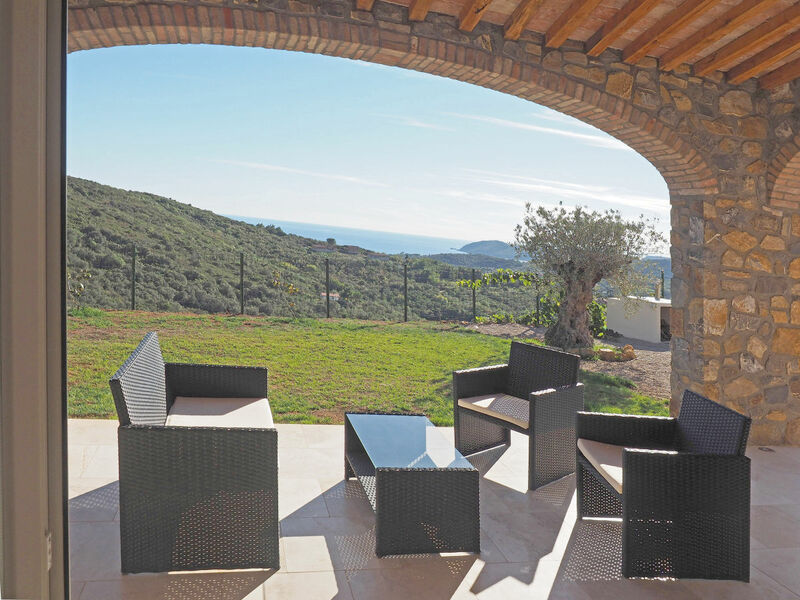 This villa with its exiting architecture is located on a large manor of a total space of 50.000 m². 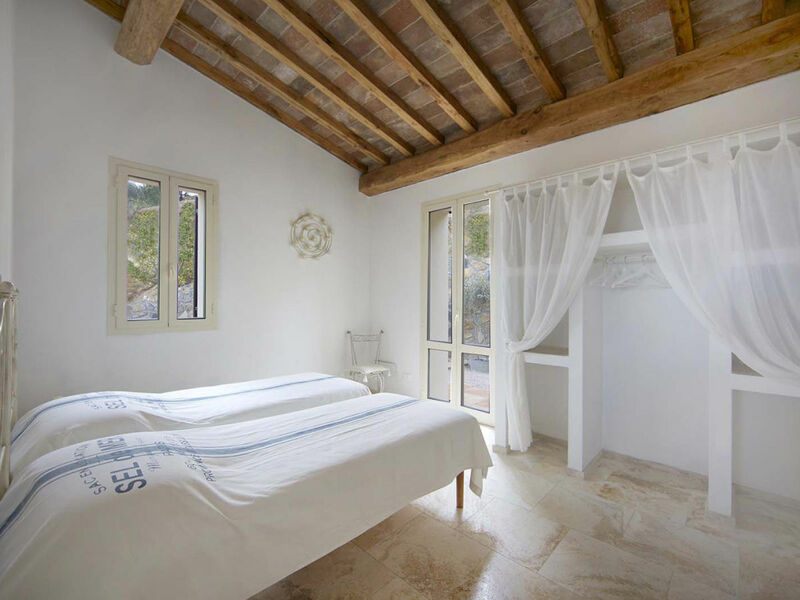 It is surrounded by fragrant citrus and orange trees and you can find relaxation and peace far away from mass tourism. 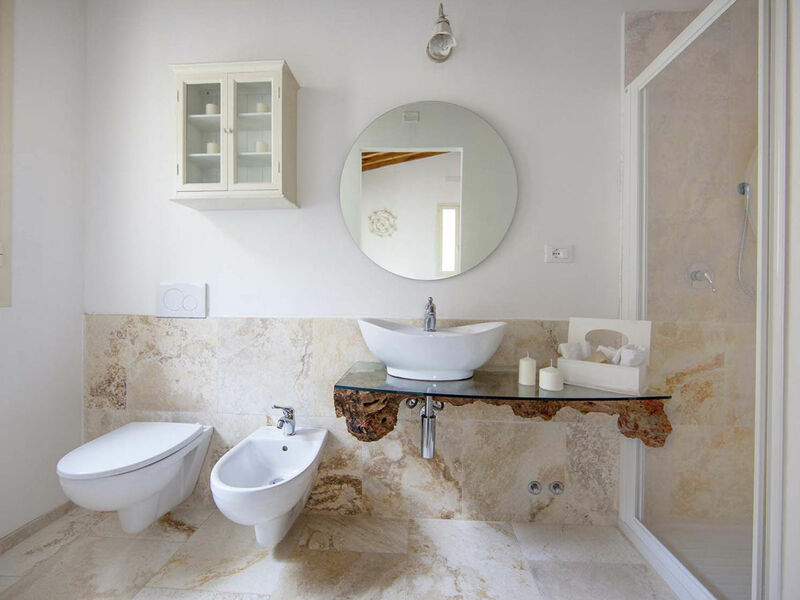 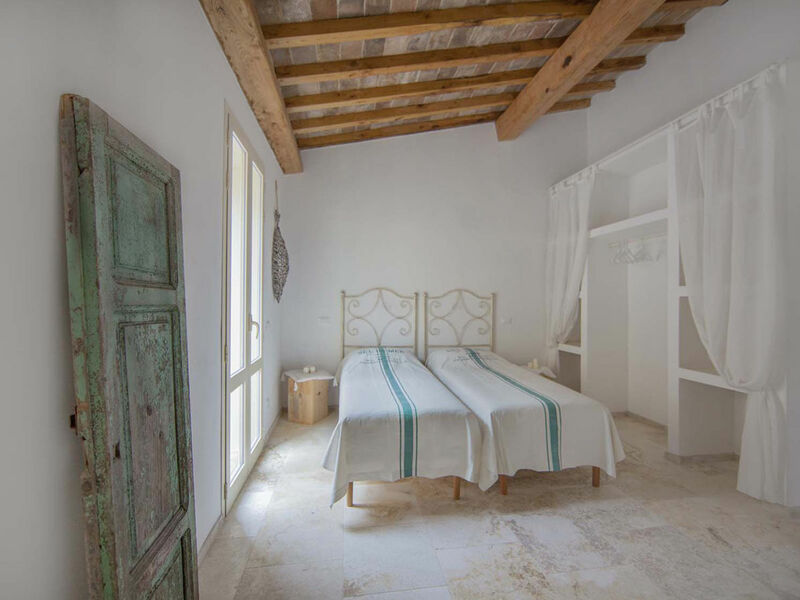 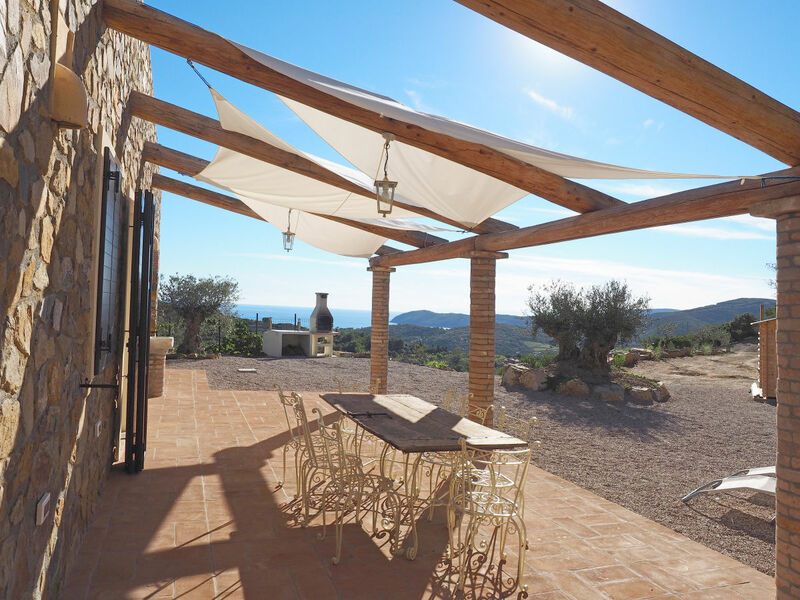 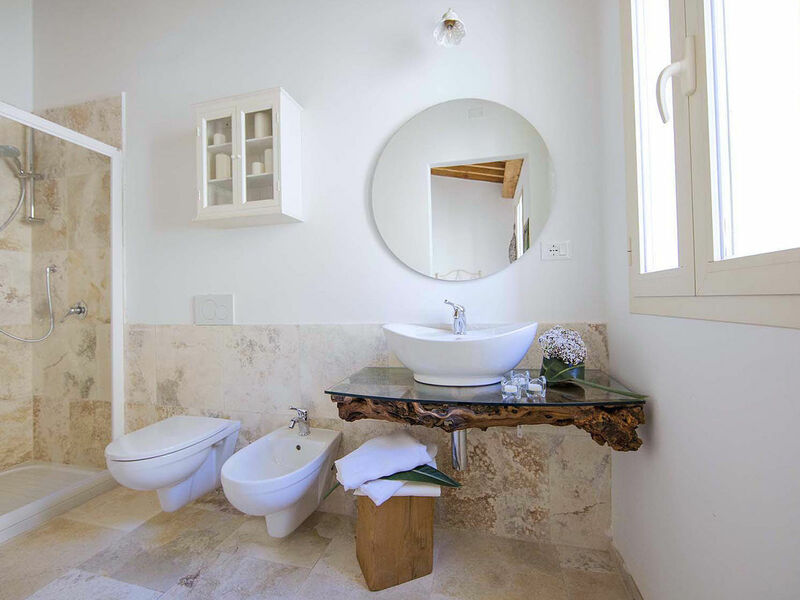 The villa is built in natural stone and can be called without doubt a treasure with special flair. 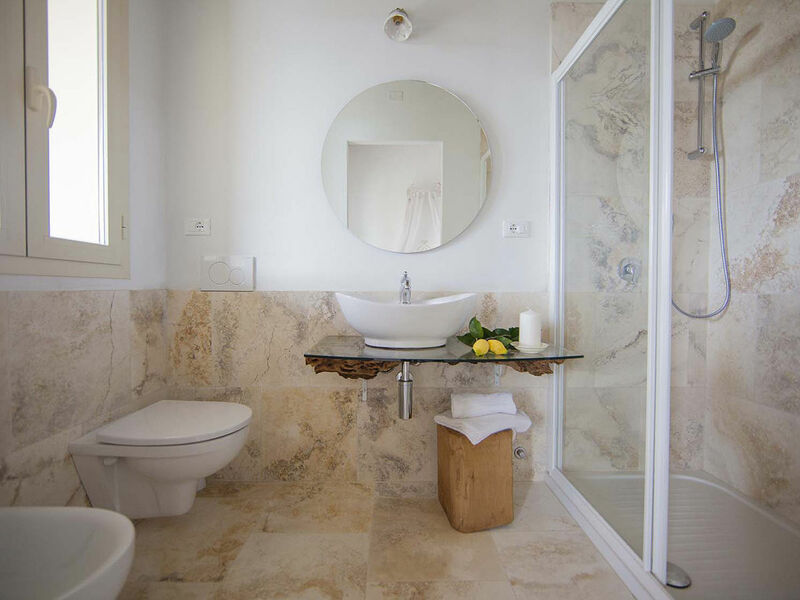 It wins over with an exiting architecture, generous rooms and an elegant interior. 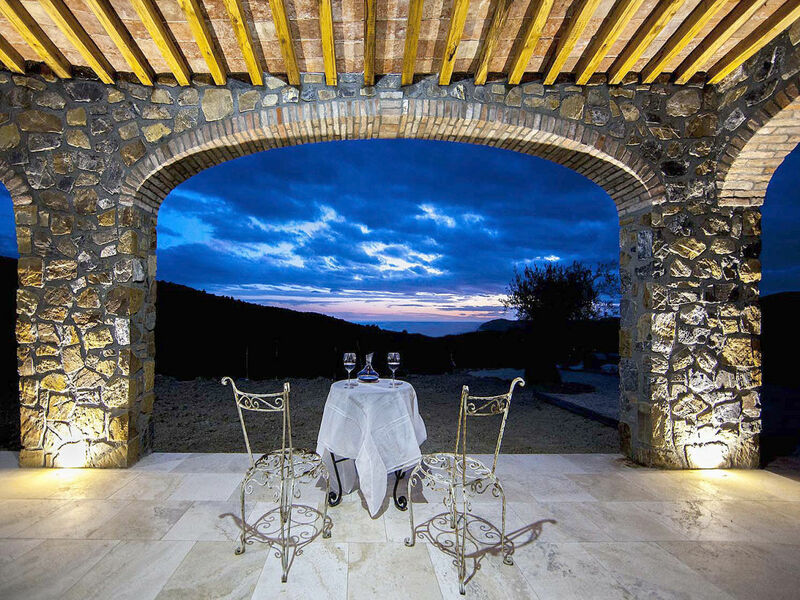 On the veranda you can enjoy a nice view to the fascinating mountains of the island Elba or to the sea and experience gorgeous sunsets. 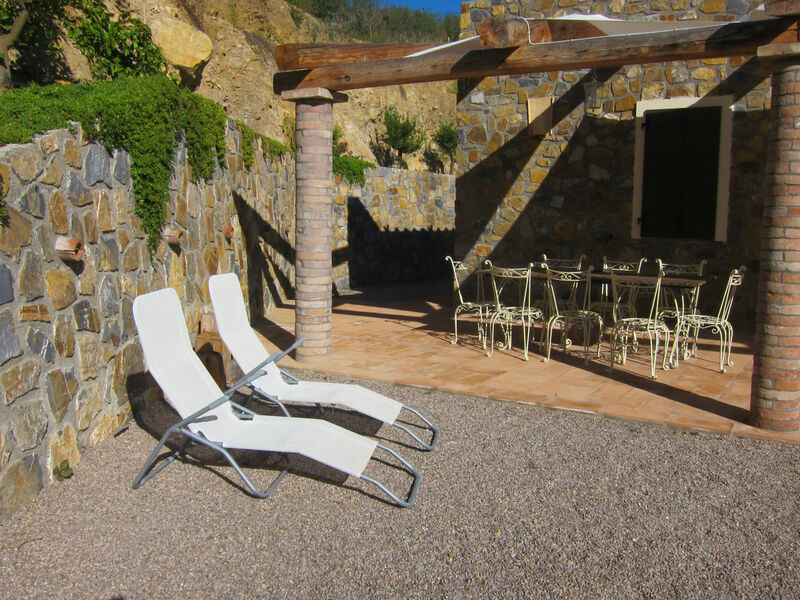 The owner is a nature lover and therefore you can also find a biological garden for communal use as well as a variety of pets. 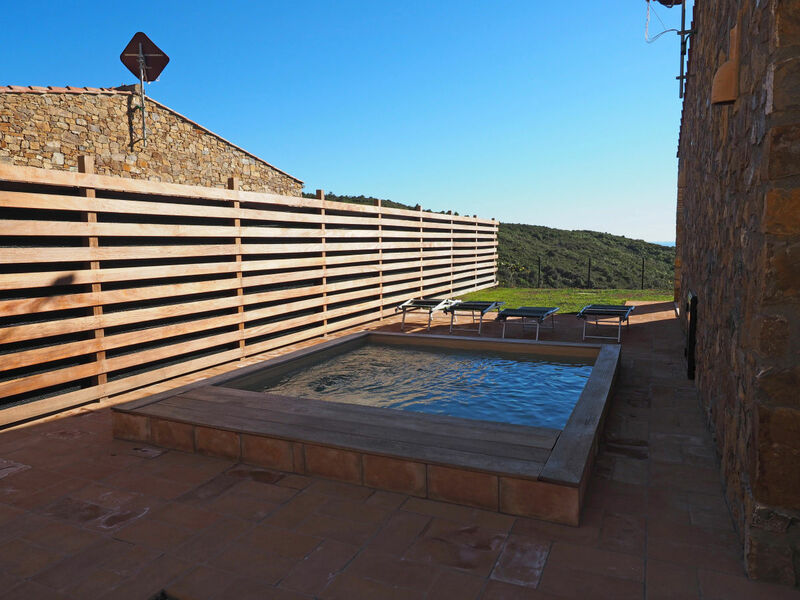 Architectonic elegance in the middle of nature: the ones who are looking for peace and nature in their holidays are absolutely right here; in only little distance to the popular beaches of Elba you can leave to this hideaway. 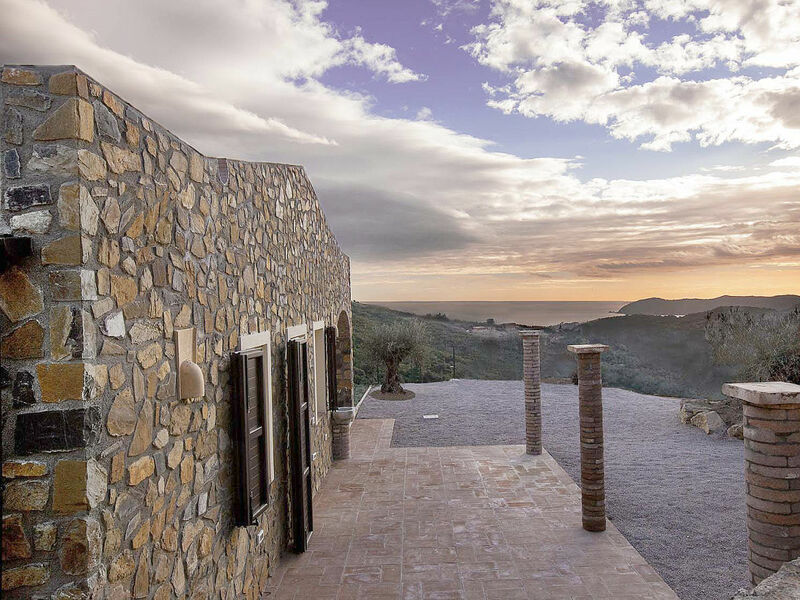 The villa is embedded in the Mediterranean landscape of Elba. 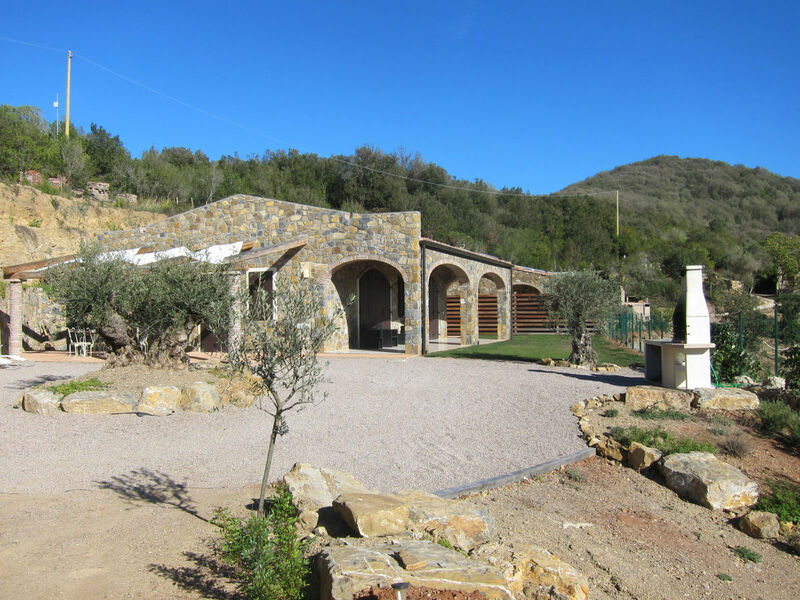 Hikes and tours with the mountain bike have their ideal starting point from here; as a passionate golfer you will appreciate the direct vicinity of the Golf club Acquabona. 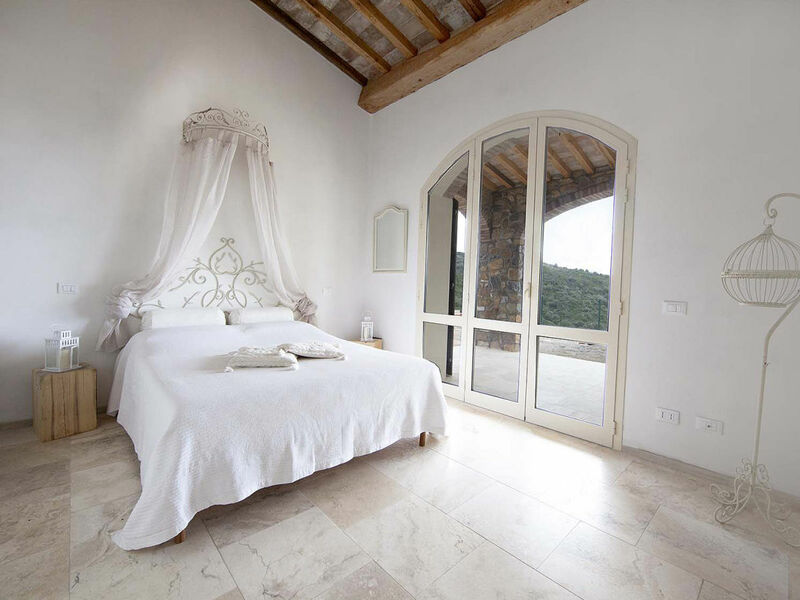 The villa is 8 km away from Capoliveri, the picturesque mountain village which was founded during Roman time. 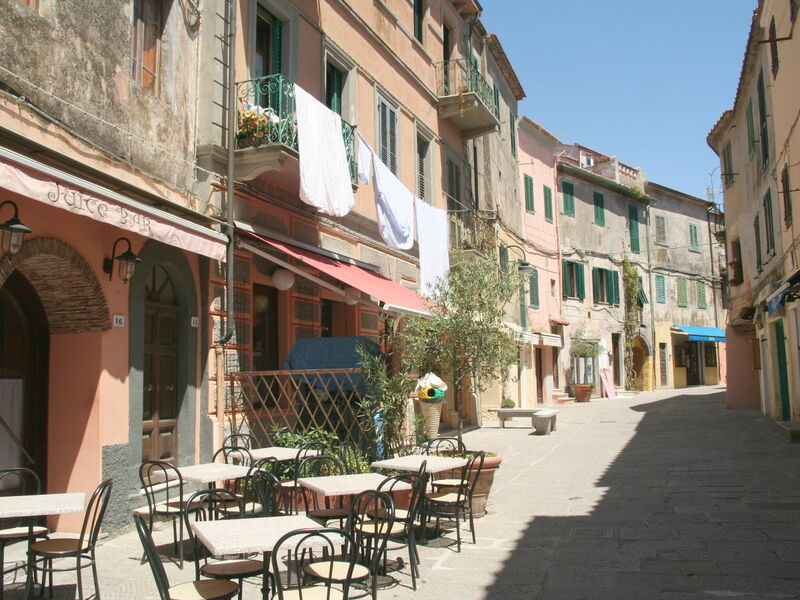 Numerous boutiques, cafes and restaurants invite for strolling. 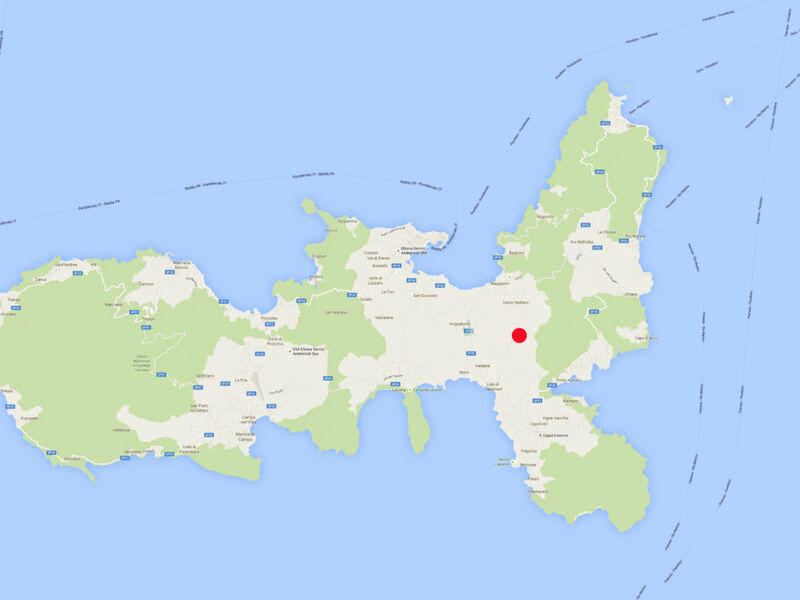 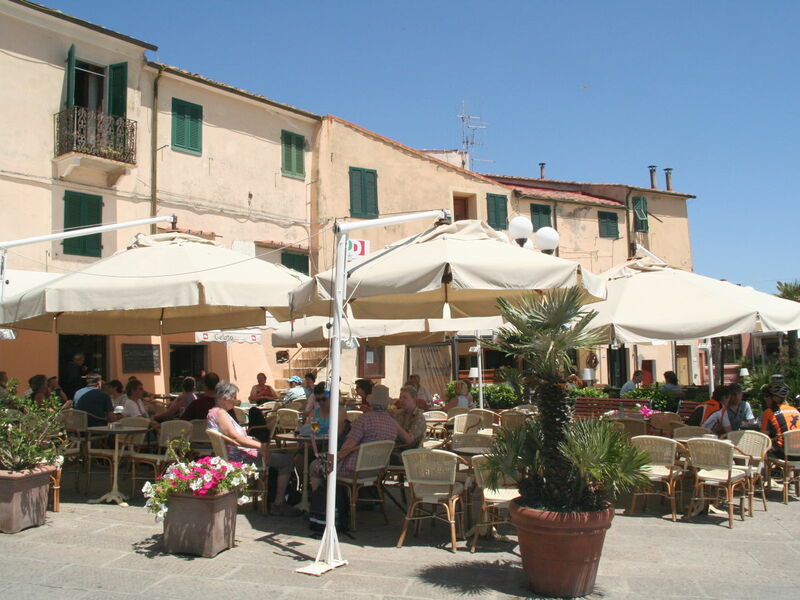 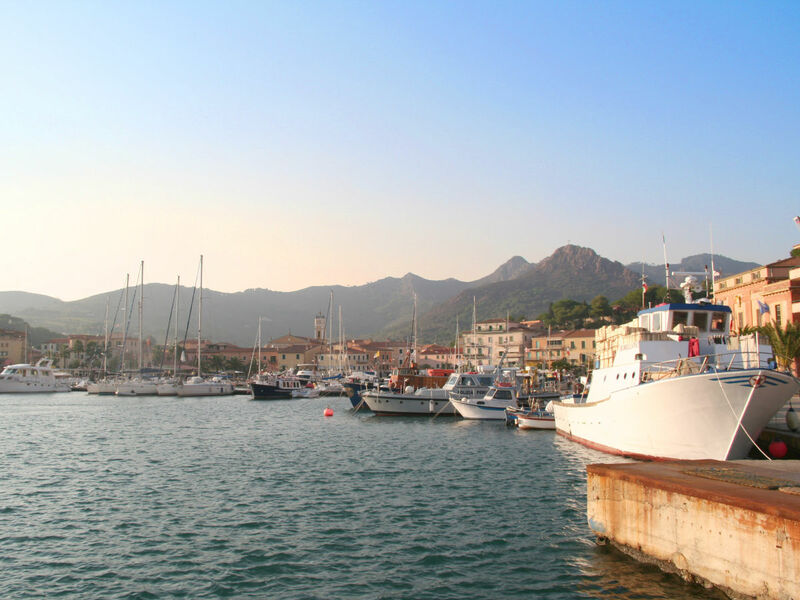 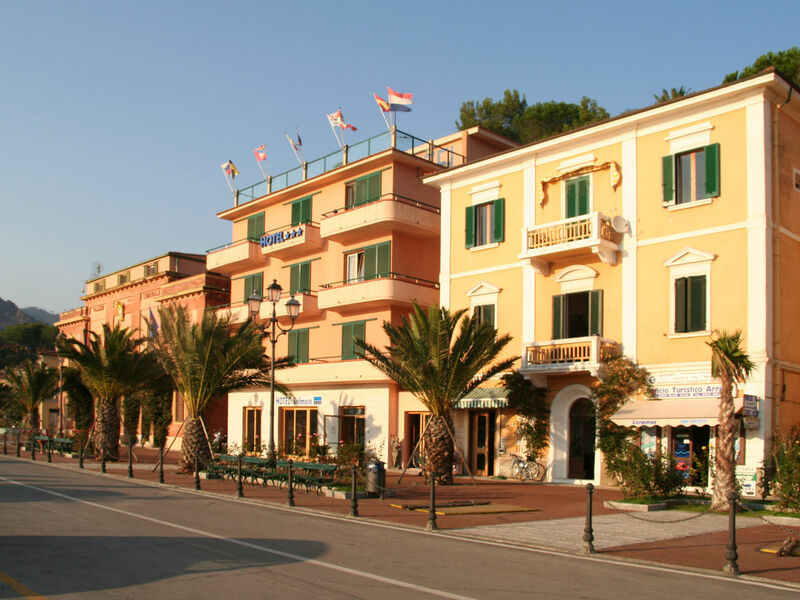 Porto Azzurro with its marina and its glamorous charm is also nearby. 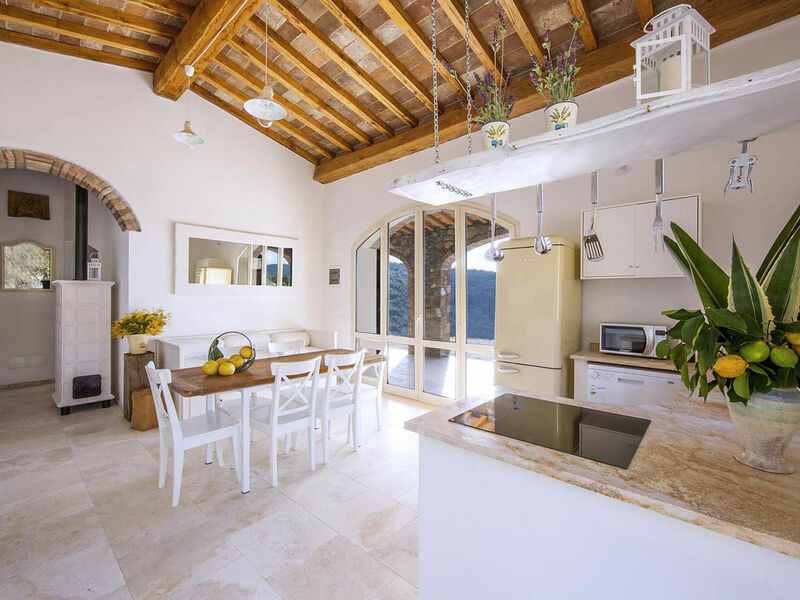 As an agency for the mediation of vacation rentals we present individually selected objects, which we know personally. 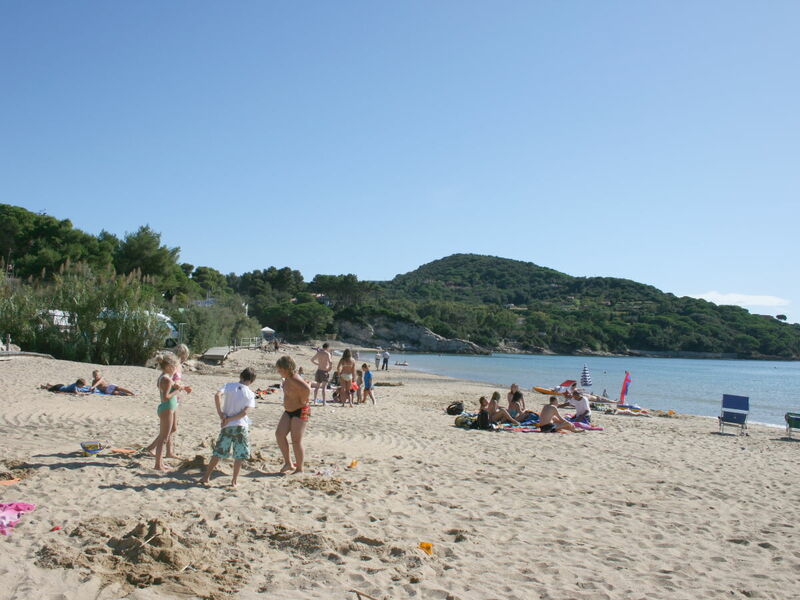 We have selected them for you in the belief that you can spend there nice and relaxing holidays.